Description: Key holder made of red leather. Folded around a metal keyring, attached with a button on the backside. 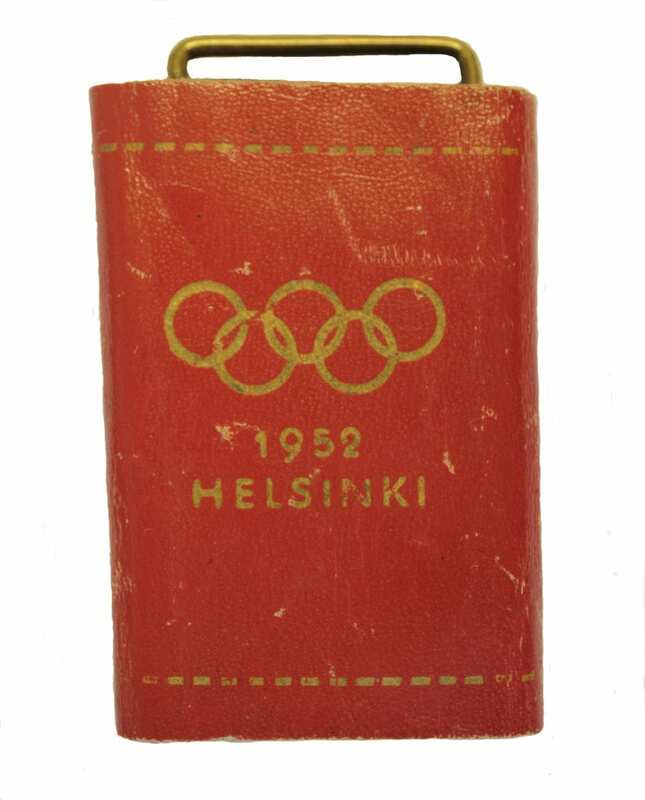 Featuring the Olympic rings and the text 1952 HELSINKI.